Sign up for Broadjam today to follow Charly Duur, and be notified when they upload new stuff or update their news! 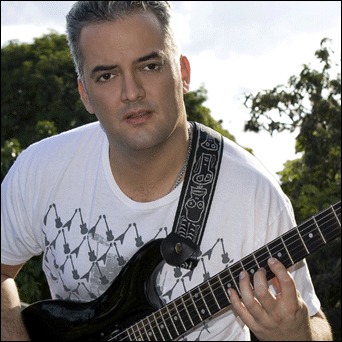 Charly Duur is a Venezuelan instrumental rock guitar soloist and songwriter. Primarily influenced by the wave of rock that dominated the 80's musical scene: Guns N' Roses, Metallica and Joe Satriani, among others. Ice Tears, an indie release in March 2010, is loaded with melodies that will bring your senses to an emotional thrill stimulated by pure instrumental rock. A debut album that will keep you asking for more. Was produced by Antonio Romero, recorded and mixed by Francisco Domingo at True Digital Studios and mastered by The Sound LAB at Discmakers.